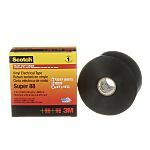 Electrical tape is an essential piece of an installation, repair or manufacturing project. Its generally used for colour coding wires. The durable vinyl can resist the usual wear and tear, and a flexible backing has a rubber based adhesive that adheres to uneven surfaces. 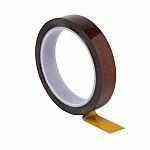 Electrical tape are generally made with a Polyvinyl Chloride (PVC) backing and a non-corrosive rubber based adhesive. 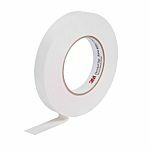 The rubber based adhesive gives the tape the ability to stretch and conform to cables and wiring. This is usually used for its extremely robust chemical resistance. 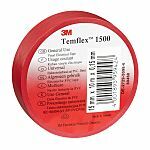 Often referred to as Teflon Tape, its insoluble in harsh solvents at temperatures lower than 300 degrees Celsius. This is manufactured from a polyester film reinforced with glass fibre strands and is used when much higher thermal resistant properties are needed. Designed to withstand temperatures for prolonged periods of time up to 130-200 degrees Celsius. The stretching allows the tape to wrap tightly around cables for identification. This is what sets this tape apart from other tapes such as cloth, as they dont have the elongation ability. Insulating charged wires requires a tape that doesnt dry out and even catching fire. So the fibres in cloth tapes are susceptible to burning at high voltages creating a fire risk. 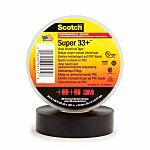 Most electricians will generally use black insulation tape for insulating wires and connections. This usually signifies the earth and the green/yellow striped tape would usually imply earth also. This colour most commonly signifies low voltage, phase A. Mfr. Part No. "35 VIOLET (1/2""X20')"